Move over The Help, there is a new historical fiction powerhouse in town, and it goes by the name of Dollbaby! It is no secret that I love historical fiction. And I've always had a special fondness for stories that take place in the 50's or 60's, so that was my initial draw to this book. The premise does not do this book justice. I was not expecting this book to be full of so much life! Dollbaby is a character driven novel. If the characters were to fall flat, then the entire book would not have stood a chance. However, these characters are some of the most alive, most vibrant characters I have ever read. Queenie, Ibby, Frannie, Dollbaby, T-Bone...Gah, the list goes on! Each character added their own spice to the overall reading experience of this novel. I, quite literally, fell in love with them. Frannie, Ibby, Queenie and Dollbaby especially, all earned forever spots in my heart. The character development was spot on! Laura Lane McNeal delivered this novel in such a way that you are left in awe until the very last page. Just when you thought the story was over, she hits you with another epic twist. I also loved how she presented us with Frannie's back-story. It was drawn out perfectly; and she was such a colourful character! I'd like to think that I will have a little bit of Frannie in me when I get older. She stayed young at heart. Ibby is a wonderful character and she stands strong on her own among the other powerful characters that are in this literary category: Skeeter from The Help and Lily from The Secret Life of Bees. Dollbaby is one of the greatest coming of age novels I have read. Although I wasn't alive in the 1960's nor am I from the South, I believe that Laura Lane McNeal painted a pretty accurate picture of what life was like in New Orleans during that time! Colourful with it's storyline, and strong with it's characters, Dollbaby deserves a standing ovation! An outstanding novel and one that I just couldn't put down! 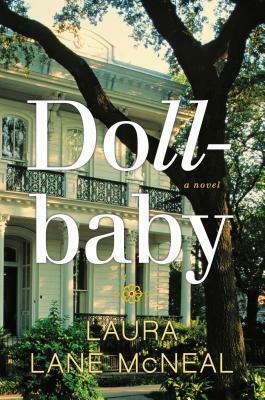 Dollbaby will always be a top recommendation of mine, and I truly hope 20 years from now I see it sharing a spot on the Literature shelf among To Kill a Mockingbird and Pride and Prejudice. A masterpiece in my eyes! You brought tears to my eyes! Thank you for this glowing review of Dollbaby! I am deeply humbled. National Book Lover's Day-Let's Celebrate!